Women of childbearing age are recommended to take 400 micrograms of folic acid daily to prevent possible birth defects should they become pregnant, findings from two new studies indicate that most eligible women, especially those between 18 and 24 years of age, do not. These findings are concerning given the well-established link between low folate levels during pregnancy and the occurrence of neural tube defects, which include abnormalities in the development of the brain and spine, often resulting in severe disability or death. To provide maximum benefit, folate levels need to be adequate from the start of the pregnancy, not just when a woman becomes aware of her pregnancy. The results of both studies appear in this week's issue of the Morbidity and Mortality Weekly Report. In the first study, researchers from the Centers for Disease Control and Prevention in Atlanta and elsewhere assessed the awareness, knowledge, and use of folic acid supplements among U.S. women of childbearing age (18 to 45 years) by analyzing data from annual surveys conducted by the Gallup Organization from 2003 to 2007. The report shows that throughout the entire study period, the percentage of women taking a folic acid-containing supplement daily never exceeded 48 percent, except for women with confirmed pregnancy. In 2007, the percentage of all eligible women taking these supplements was 40 percent. The lowest prevalence of folic acid supplementation was seen in women between 18 and 24 years of age - ranging from 25 percent to 31 percent. Women in this age group also had lower awareness (61 percent) and knowledge (6 percent) about the importance of folic acid than women in other age groups. Factors associated with a greater likelihood of taking folic acid-containing supplements included white race, non-Hispanic ethnicity, higher education, and greater household income. No significant improvements in folic acid supplementation, knowledge, or awareness were noted during the study period. In the second study, researchers from the Puerto Rico Department of Health and the CDC examined folic acid knowledge and consumption among women 18 to 44 years of age, along with the prevalence of neural tube defects in Puerto Rico from 1996 to 2006. The findings indicate that folic acid knowledge and consumption rose from 1997 to 2003, but then declined from 2003 to 2006. During the first period, the prevalence of neural tube defects fell, whereas no significant change occurred during the second period. Specifically, in 1997, just 22.4 percent of women were aware that folic acid is recommended to prevent birth defects and only 20.2 percent of women used folic acid supplements. By 2003, the corresponding percentages rose to 72.0 percent and 30.9 percent, but by 2006 they dropped to 56.5 percent and 24.8 percent. 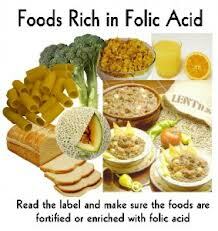 As in the first study, women between 18 and 24 years of age were the least likely to use folic acid supplements. "These findings warrant the continued promotion of folic acid consumption among all women of childbearing age and especially among women aged 18 to 24 years," authors of the first report conclude. "Folic acid education that promotes consumption of folic acid from various sources, in addition to foods rich in folate, can increase the possibility of all women consuming the recommended daily amount of 400 micrograms." SOURCE: Morbidity and Mortality Weekly Report, January 11, 2008.